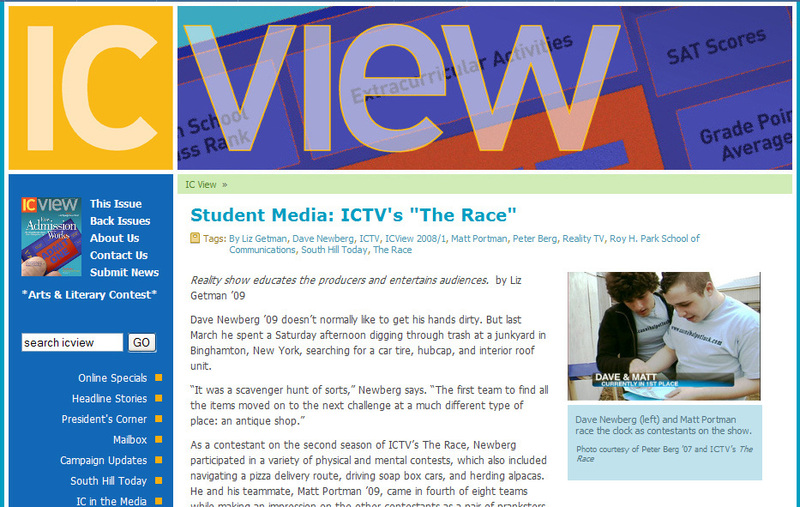 The Race was also featured in the latest issue of IC View, Ithaca College’s alumni magazine. The article gives a great look at how The Race came about, and how we were able to pull everything off. You can read the article online, or download the scanned version!